Hi all! Katie Gehring here and like most people today, I often multitask to fit in my "want to dos" and my "have to dos". 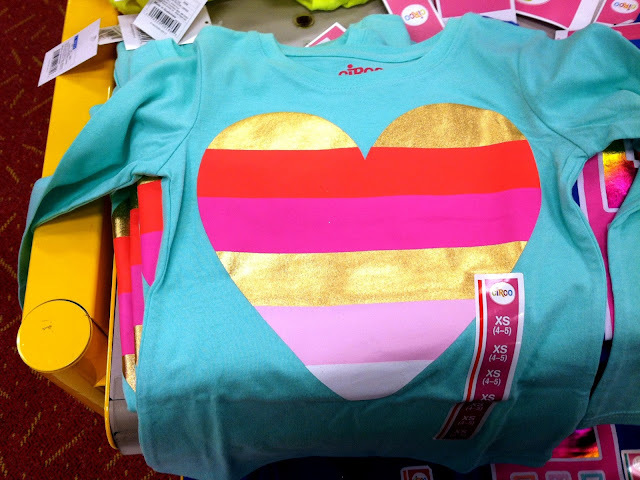 Today, I wanted to share one of my favorite ideas for combing work and play...finding fantastic inspiration while doing the weekly shopping at Target!! 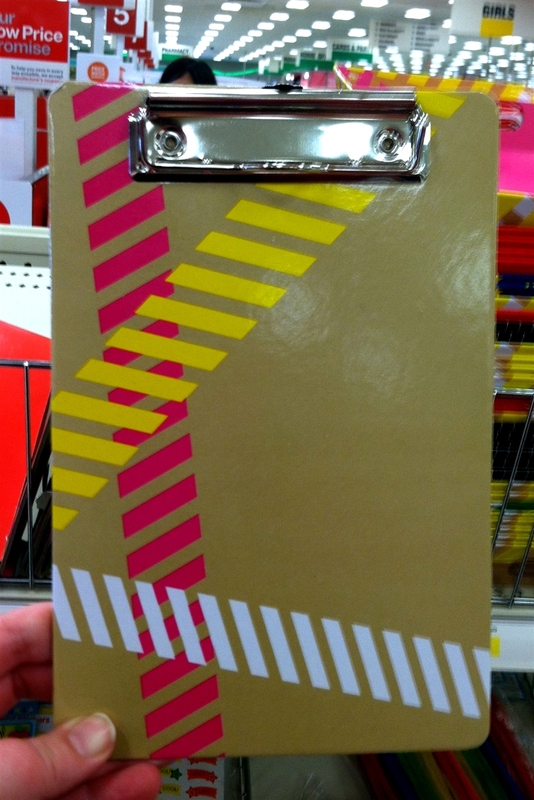 I found this really cool clipboard in the dollar spot. 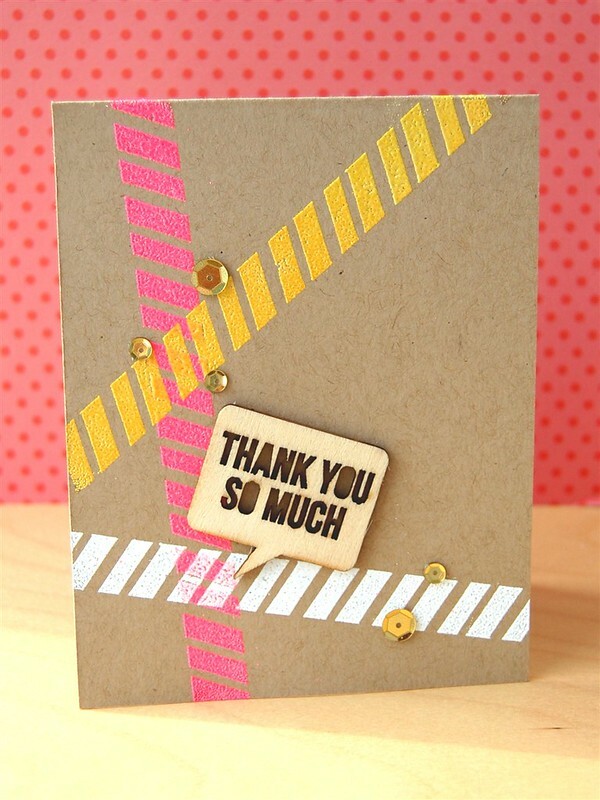 I stamped the stripes one at a time in Versamark and embossed them with Zing embossing powder from American Crafts. Some gold sequins and a wood veneer sentiment from Studio Calico finished the card. I always carry a small notebook with me to jot down ideas or sketches that come to me while I am out and about. I also find the camera on my cell phone super handy for taking quick pictures of inspiring objects. Shopping for inspiration is my favorite part of my errands and one of the reasons that I secretly look forward to the weekly Target run. Hope your next shopping trip yields you everything you need for clean laundry and some fantastic cards! Thanks for stopping by! awesome takes on the T inspirations....love your cards! you rocked that trip to target and you used the set that I really want here...sigh, must get on the strip! Love this! 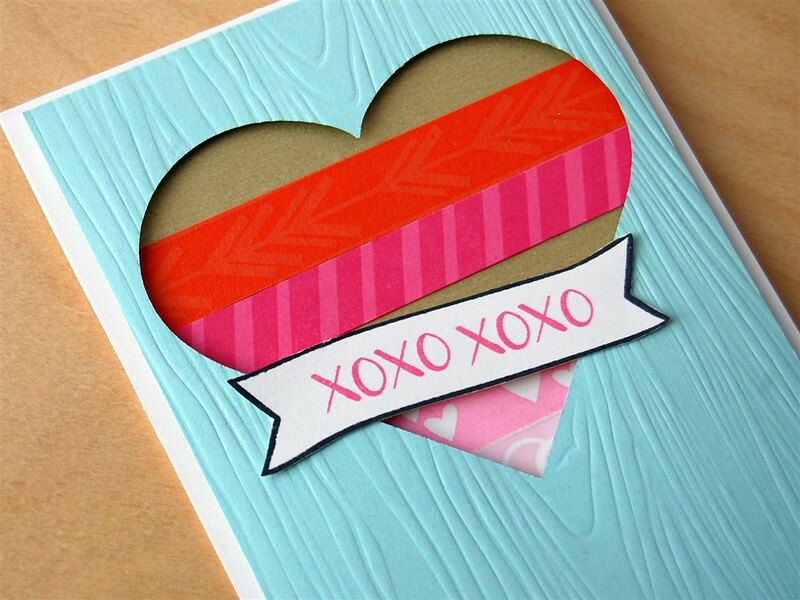 GREAT post for shopping along and then we get to see what inspired you to create these gorgeous cards! Wow! That's a neat tip for inspiration. Fun cards too. Great idea and so inspiring! These rock!! I really must open my eyes more as inspiration is everywhere! Awesome ideas and inspiration, Danielle! This could be a whole series for videos or blog posts. Happy Mail for Grayson Card Drive! January Release Day 4: Party Dots! January Release Week Day 3: On the Strip! January Release Day 1: My Heart Sings + Giveaway! January Guest Designer: Amy Tsuruta!